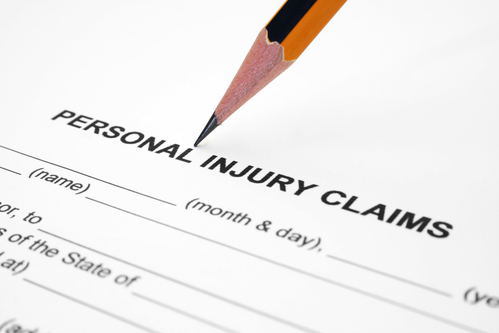 In a personal injury case, establishing liability is the first course of action. It’s your lawyer’s job to find out if it’s possible to prove that another party intentionally or unintentionally caused you harm. When they accept your case, your next question might be: How much is my personal injury case worth? There is no simple answer to this question, because it depends on several different factors. Here we’ll break down how compensation is usually determined. If you or your loved ones were injured, you probably received medical treatment. These medical bills may be substantial, depending on your injuries. It’s important to take into consideration all medical expenses associated with your injuries, as these may include hospital fees, doctor bills, prescription medication, medical aids (such as crutches), and physical therapy. Ifyour injuries haven’t fully healed, you may still need medical treatment in the future. Your compensation should include the medical costs you’re likely to have. It’s a good idea to consult with experienced medical professionals to get an idea of future treatment costs as well as future medication needs. While you’re recovering from your injuries, you’re probably unable to work. Your compensation should include any lost income as a result of the incident. It may not include all your income. For example, you may be able to go back to work part-time in the near future. However, if you’re unable to work for the foreseeable future, your compensation should reflect that. It’s also possible that your injuries are preventing you from working in your current profession again. This may require you to start over with training for a new job that may have a reduced salary, especially as you’re starting out. It’s your lawyer’s job to make sure that your family doesn’t have to suffer because of your reduced ability to earn money. If your personal property was damaged, the compensation should include a fair replacement value. This may include your vehicle, clothing, and any other personal belongings that were damaged or destroyed. All these numbers up to this point are fairly simple to calculate. They’re meant to get you back to the baseline before the accident, at least in financial terms, or make you “whole” again. Next, it’s time to look at pain and suffering and punitive damages. Even if your vehicle was restored and you were eventually nursed back to health, that doesn’t really undo all the pain and suffering you had to go through. If you’ve suffered serious injuries, you may be entitled to compensation under this heading. In some cases, emotional pain and suffering is rather sever, as it can include depression, mood swings, or loss of appetite. In some cases, there is also a monetary award for emotional distress. Examples would include if you were unable to sleep or had anxiety after your injury. Along the same lines, you may be entitled to compensation for loss of enjoyment. That’s because your injuries are keeping you from enjoying your daily pursuits. For example, if you broke your leg in a car accident, you wouldn’t be able to play tennis, go swimming, or run a marathon. Punitive damages may be awarded to the injured plaintiff if the defendant’s conduct was particularly careless. These damages are supposed to act as a deterrent and punishment by charging the defendant a “fine”. Florida, along with many other states, puts a cap on punitive damages, which your lawyer can discuss with you. The extent to which you’re able to receive punitive damages also depends on your behavior during the accident. If you were partly at fault, then your damages may be reduced. It’s important to discuss every detail of the case with your lawyer to ensure that you receive the compensation you deserve. You must also follow recommended medical treatment to ensure that your injuries don’t get worse than they otherwise might have been. The first list of damages will be based on actual or estimated numbers. The calculation for pain and suffering is usually done by using a multiplier. For that, you take the medical bills and amount of lost earnings and multiply it by a value between 1.5 and 4. The multiplier is most useful in minor injury cases. However, ultimately, it’s up to the jury or judge. Therefore, your total compensation will depend on your testimony, the details of your claim, and the skill of your lawyer in handling your case.